Now, this was another surprise! 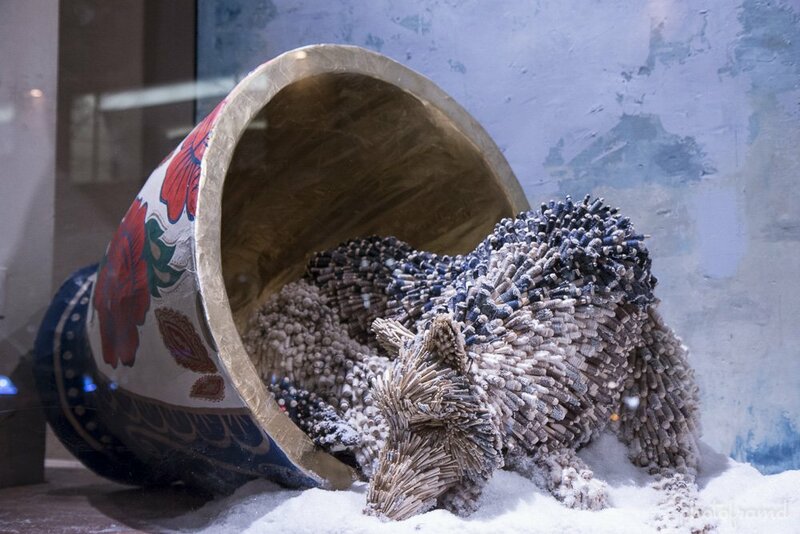 Anthropologie’s Rockefeller Center store had these beautiful windows. 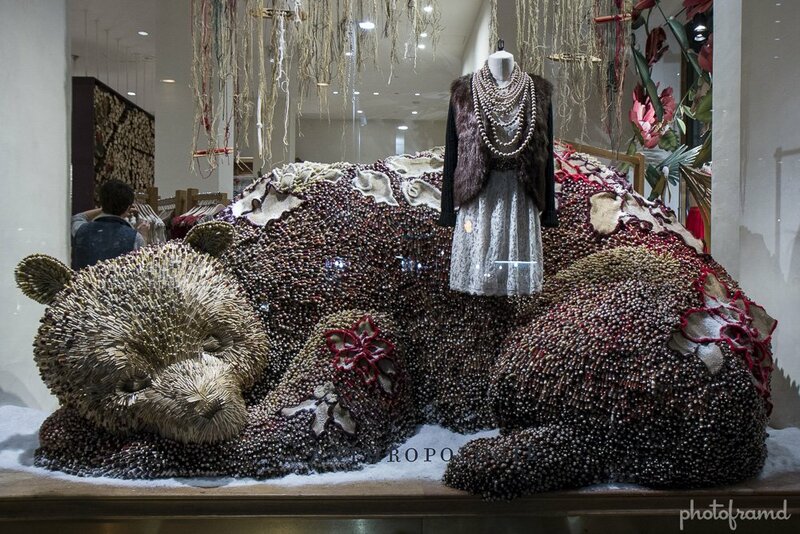 If you look close, the wolf and the bear are both made from thread spools!